Forwardair Limited was incorporated in 2002 as a licensed Customs Broker and Freight Forwarder. A young and dynamic organization led by a Management Team that had a vision to provide “Total Logistics Solution” to the highly potential local manufacturing industries, Forwardair instantly gained acceptance with a majority of such industries in Tanzania. Forwardair’s growth record since the time of its inception has been at a staggering 20% per annum. Although this figure is highly laudable in the industry we have never looked back but rather focused on improving our strength and service standards. Today we are enjoying a sizeable movement of freight inwards and outwards. Every major port in the world, both air and ocean is serviced by our organization. 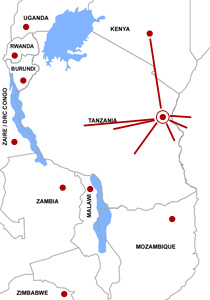 Our main office, which is located in Dar-es-salaam, is linked with representative offices in other major ports in Tanzania such as Tanga and can also serve your airfreight needs at the Dar-es-salaam International Airport. The Forwardair concept ensures total satisfaction to both shippers and consignees and builds strong long-term relationships with our clientele wherever they are based. 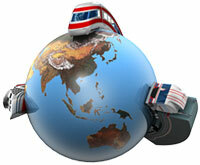 Forwardair services clients in almost all industry sectors in all aspects of logistics management. Copyright © Forwardair Ltd, 2019. All Rights Reserved.